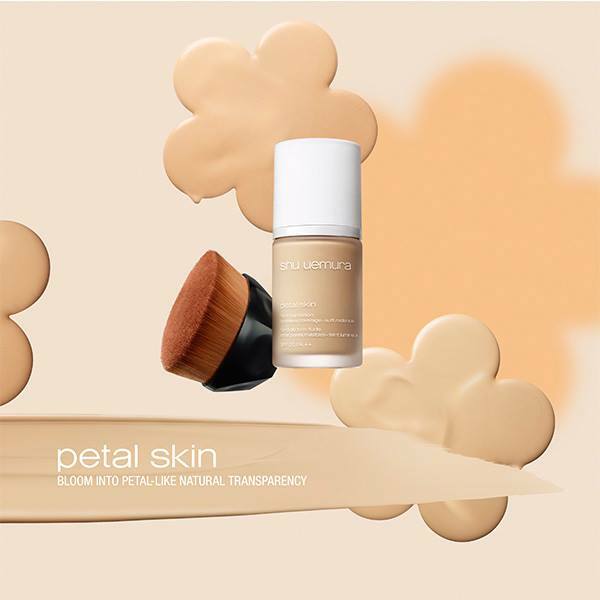 February 2017 sees the launch of Shu Uemura Petal Skin Fluid Foundation which was inspired by a soft petal and a liquid foundation pursuing “skin’s beauty”. The secret of “petal skin technology” gives a transparent feeling while having a cover effect. It’s a light, undetectable foundation inspired by the No-Makeup Makeup trend which is perfect for everyday use. I’ve always been into light and natural coverage foundations so this one sounds like a dream, promising a fresh and natural glowing skin while it evens out your skin tone and covers your complexion with a silky veil without masking. The formula contains ingredients extracted from rare flowers such as White Lily and White Jasmine, and oils of vegetable origin like Olive Squalene to moisturize the skin. There will be a variety of 11 colors that match every skin color, but I believe in Europe only 10 will be available. In addition to the new Shu Uemura Petal Skin Fluid Foundation SPF 20 there will be a new foundation brush named Petal 55 Foundation Brush. 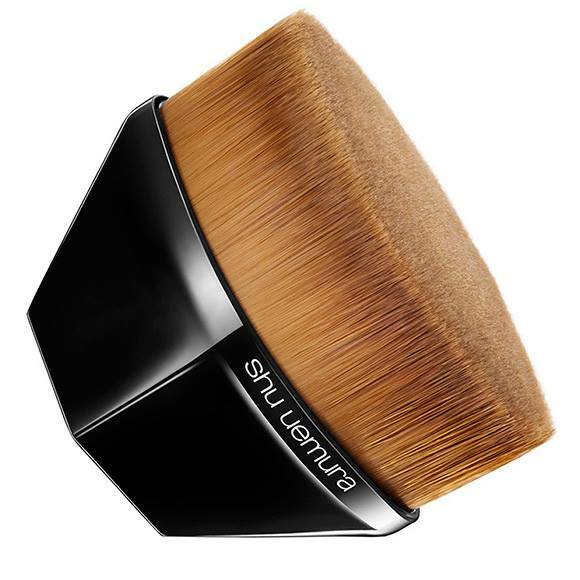 The new brush is designed to fit various facial parts and glide across the skin without leaving any unevenness. I hope they make one pale enough with pink undertones…..